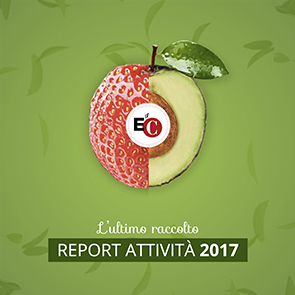 The idea is like a forerunner of the EoC project launched by Chiara Lubich from San Paolo in 1991, since the first attempts to sell bakery products on the street date back to 1988, and they immediately embody the vision, values and courage of this revolutionary new approach to economics. “It was a period of deep crisis - says Italian Adriana Valle who’s been living in Brazil for 38 years and is responsible for the activity -, there were limited economic resources, inflation and heavy unemployment. In this scenario a group of girls, combining individual skills, endeavour into a small production of baked goods, with a basket in the hand on the sidewalks outside the Mariapolis Ginetta (ex Araceli), near Vargem Grande Paulista". After a couple of improvised sales, the production stops, but as a surprise several passing drivers continue to asking for "the girls with bread and a smile"! Then Ginetta Calliari, one of Chiara's first companions, and one of the founders of the Focolare movement in the country, wants to continue the activity, giving hospitality and work to mothers and young people, allowing them to open, get a training and earn a living for themselves. There are still no clear entrepreneurial ideas, however, the number of customers increases, and the friendliness behind the counter is enchanting! After having moved the activity from the street to a small closed space, in 1994, while the EoC business park was taking shape near the citadel, a second selling point was created in front of the first, but on the other side of the road, near a favela: the aim was to give the possibility to people who live there to buy bread without the danger of getting run over by cars passing on the road at great speed. The two activities went on, under the name Spiga Dorata I and II (“Golden Ear of Wheat I and II” – the tr. ), that, inspired by the mature ear of wheat emitting light under the sun, was given by Chiara Lubich herself, suggesting that whoever passes there encounters light, a brotherly gaze, a sense of unity, words of life... a secular environment in which one feels loved, welcomed, lifted up. During the adventure, there have been many encounters. With those who a priori demolish the idea of the enterprise, thinking only of the limited numbers of the beginnings, ("with half a sack of flour you don't go anywhere", they said...), and with those who believe and take part in the development of the project: two entrepreneurs who are fond of Ginetta Calliari, amazed by the great work carried out notwithstanding the limited space of the structures, make a financial contribution, thus giving the possibility not to dismiss but to restructure, offering a more worthy place for the customer and expanding the offer with other quality products. There are also many stories that took place among those counters: starting from those who return every week from afar for the positive energy they find behind the coffee, to those who find the desire to start again in a smile they can receive here. In the shop they have also suffered various attacks, until, in one of the last ones, in front of a gun pointed at her for all the cash they had, Adriana herself had the strength and courage to start a dialogue with the robbers, showing sincere concern for their destiny once out of the premises. It was a powerful gesture that made those guys take off their mask and put down their arms, proving that even the desperate ones, when faced with so much respect and empathy can understand that this enterprise is "on their side" and is far from profit alone. As a result, there have been no more other assaults on the Spiga Dorata after that episode. Over the years we have worked hard, trying to respond to the need to legalize, and computerize the enterprise and to improve the quality and presentation of products. Today, with a staff of 20 permanent workers and 15 young people taking turns the shops mix 10 sacks of flour per day, serving up to 1200-1500 customers; offering a variety of special breads, lines of semi-prepared dishes, pastries for parties as well as homemade ice cream to the upper class of the city mainly on weekends, and ensuring affordable prices of bread for the poorer daily customers, safeguarding dignity and basic rights to food and nutrition that are often downtrodden out there. In addition to creating jobs and releasing authentic love, the generative mission of the Spiga Dorata is also to create close contacts between different social categories, where the poor one feels part of the family and the wealthy one returns, contributes and thanks for the opportunity not to donate, but to receive!